Regional Arts Victoria is offering Ararat Rural City community and arts groups an opportunity to attract touring performances to their communities. RAV is hosting an information session and skills development workshop at the Ararat Town Hall on Monday, November 26. The session is tailored for arts councils, hall committees, community cultural development and council arts workers interested in bringing touring performances to their region. 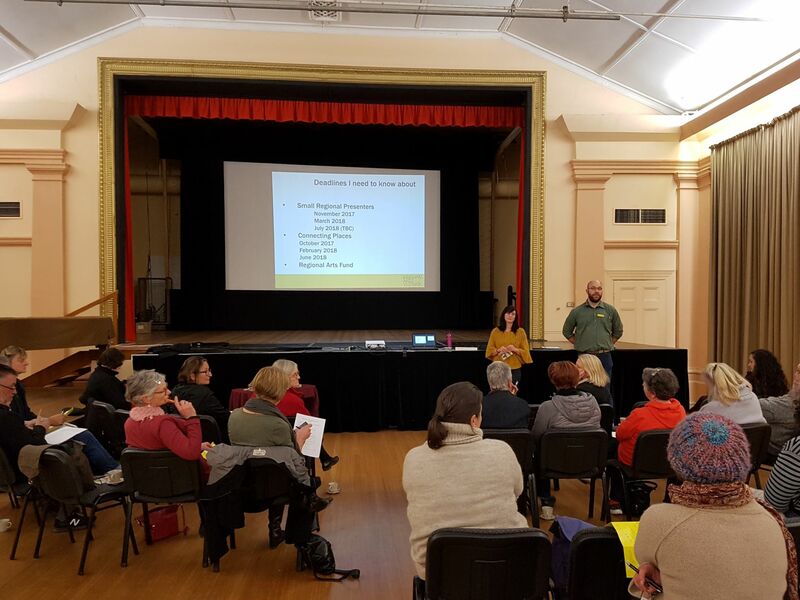 Ararat Rural City Council Mayor, Cr Peter Beales said the information session and workshop was a fantastic and free opportunity to learn about the support and funding available to get great acts to town. “This is a really great chance for committees to get the information they need to bring different performers to their area,” he said. Local Dave Nicholson from Ararat Live will be presenting at the workshop to discuss how Ararat Live is able to attract fantastic artists to Ararat. Other presenters will include representatives from various Victorian Councils as well as speakers from Regional Arts Victoria. Both sessions will be held at the Ararat Town Hall Green Room on Monday, November 26 with the information session from 4.30pm-5.30pm and workshop from 6pm-8pm. Attendance is free, however bookings are essential. Visit www.ararattownhall.com.au for further detail.